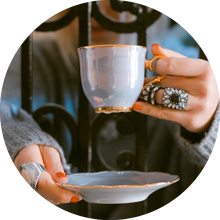 It’s no secret that sending generic, untargeted emails to your customers is about as helpful as making your friend who only drinks English Breakfast tea with milk and sugar an Earl Gray with neither milk nor sugar. And yet, as a cursory glance at your inbox will no doubt prove, the majority of ecommerce brands out there still aren't personalising their newsletters: they're sending (more or less) the exact same message to everyone in their subscriber base. Does it matter? Data suggests 'yes', it does. In our consumer census last year, over 50 per cent admitted it bothered them when brands emailed content failing to match their personal tastes. We get it (sort of). The thought of all that laborious creation of multiple versions of the same newsletter traditionally associated with personalisation is bound to have many an ecommerce marketer running for the hills. But—breaking news people—personalising your newsletters is no longer that difficult. In fact, today, it’s a pretty easy process that can be achieved via a single template…all thanks to dynamic content. To recap, dynamic content (in email) refers to content that automatically changes according to a recipient’s customer profile. Based on 'if' conditions within the template’s HTML (e.g. ‘if’ recipient has spent [x], the template will display [x]), dynamic content is all done within the user interface (UI)—therefore removing the need for any manual code editing. Anyway, now you know how easy it can be, here’s a closer look at the anatomy of a perfectly personalised newsletter. At the bottom of the post, we've brought all the different sections discussed together in an example email showcasing what your template could look like. Including a first and/or second name in your subject line is considered pretty standard practice now, but there are other ways of personalising this (crucial) part of your newsletter. Personalise the wording of your subject line according to where a recipient is in the customer lifecycle. For example, for an active customer you could have “It’s our Friday catch-up”, whereas for a lapsed customer you could have “We’re well overdue a catch-up”. Same campaign, different content. Use each recipient's unique taste profile to adapt the subject line to the products or categories they've demonstrated an interest in. For example, "Trousers, shirts and other hot drops this week" vs "Party dresses, shoes and other hot drops this week". You’re a company running a multibrand store? Try mentioning specific brands a recipient has engaged with in your subject line. You can also use dynamic content to make your preheader text bespoke to each recipient. First impressions count, so it’s vital your email’s ‘hero image’ (aka main banner image) successfully captures a recipient’s attention when they first open your email. Everyone’s different, so there won’t be one image appropriate for your entire contact base. Cue a dynamic hero image—rendered according to each customer’s unique profile. Base your hero image on demographic information, such as gender, location, age or where the recipient is in the customer lifecycle. Use taste profiling to display products based on what the customer has shown an interest in—for example, modern furniture vs classic furniture. Ever cringed hard after scheduling a newsletter shouting about beachwear, only for it to be sent out on the wettest, windiest day of the year? Look, you’re a marketer, not a professional weatherperson—leave the real-time forecasting to dynamic content. Using internal data (gleaned during the signup process), you can determine the geographic location of your subscriber list. In-turn, this enables you to draw on external factors to personalise your newsletters in a dynamic way - such as local weather forecast (as shown in the “looks like snow” vs “looks like rain” example image above). As well as/instead of including a local forecast in your newsletter, display products suitable for certain weather conditions; e.g. a light raincoat and waterproof boots for a classic rainy but humid day in London. (As well as local weather forecast, other external factors you could use for dynamic content include time-based events; for example, a countdown to Christmas Day). Harking back to the aforementioned consumer census, more than half of those we spoke with confirmed that email content better-tailored to the types of products that are of interest would make them more likely to buy. Moreover, when asked what frustrated them the most about email marketing, 57 per cent cited emails “featuring products already purchased” and 54 per cent cited “emails without recommended items that match personal taste”. Only makes sense for ecommerce marketers to start using dynamic product recommendations then, right? There are multiple algorithms and engines that can be used to power dynamic product recommendations (products that are likely to be of interest to the recipient, based on their customer profile). Instead of individual dynamic product recommendations, marketers can also choose specific products they want to display next to one another and then create a dynamic content block that will display these products, based on the customer profile. This is likely to be a most popular choice among marketplaces that have agreed not to place certain labels next to one another in any marketing material. Manually creating certain dynamic content blocks can also be useful if, for whatever reason, your store wants to promote certain products alongside each other, not promote certain ranges due to stock shortages or display certain products for annual events such as Valentine’s Day. Some of your segments will need to be incentisived to click through your email and make a purchase (e.g. newbies), others will shop regardless (namely your VIPs). Consequently, use dynamic content to personalise the type of discount to offer a recipient… or whether you ever offer an incentive in the first place. A discount based on where a recipient is in the customer lifecycle journey (e.g.10% for all your newbies). Discount/coupon based on specific segments. Discount/coupon/freebie based on recipient’s date of birth (e.g. “Happy 28th Birthday! Here’s a £15 voucher from us:)”). Removing a monetary discount for your VIP shoppers, who a) would probably shop discount or no discount and b) are more likely to respond to something a little more personal, such as earlybird access to a new collection. Time-limited content blocks that expire once an offer has finished. If your brand has a loyalty scheme, use dynamic content to ensure all of your recipient's receive regular updates on how their account is faring. This is something ASOS does really well in its newsletters, as shown in the example below. Use a dynamic banner to keep recipients up-to-date on how many points they have earned so far/ any perks they're entitled to (e.g. free next day delivery). You never know, it could be the nudge they need to make a long-awaited purchase. As well as (or instead of) product recommendation engines, you can also use dynamic content to determine the type of lifestyle imagery (if any) a recipient receives. 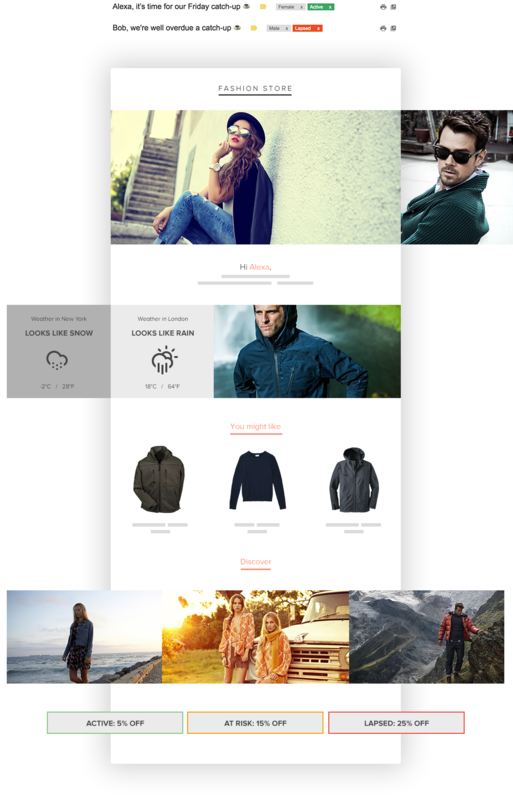 This sort of imagery will be based on your customer segments/taste profiles; for example, if a customer is interested in outerwear jackets, you can show a guy on a mountain. If your brand has an offer or sale to promote, dynamic content enables you to create a banner/header/footer that updates as soon as a recipient opens your email. This ensures your newsletter is always relevant, independent of when a subscriber finds the time to open it. A number of the above examples of dynamic content incorporate open time personalisation; for example, weather forecast, product recommendations and discounts. 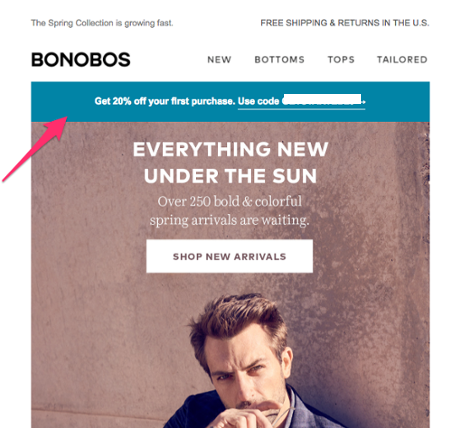 Four Ways to Make Your Newsletters Impressively Personal: Why personalised newsletters do not need to be the white whale of ecommerce marketing. Three simple first steps to personalising your newsletters: A good read for those just getting started with personalisation! Three straightforward ways to use dynamic content without going all out. Segmentations vs 1:1 personalisation: On its own, segmentation may not be enough to engage your customers and subscribers. And yet, without it 1:1 personalisation would not be possible.